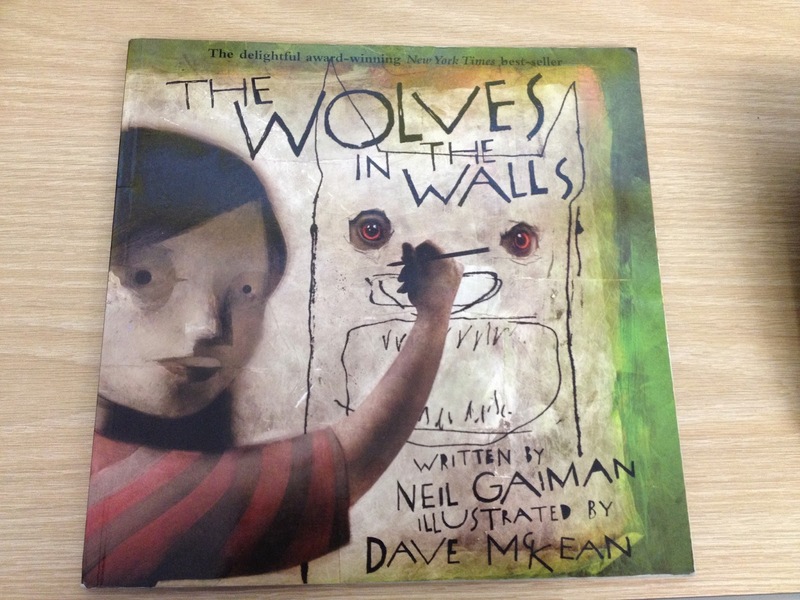 Have you read The Wolves in the Walls by Nick Gaiman? 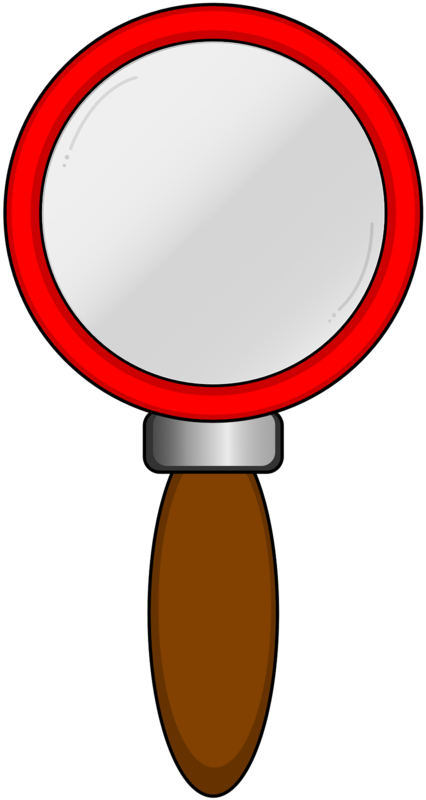 It won awards for the New York Times Best Illustrated Children's Book (2003), the IRA/CBC Children's Choice (2004) award and theBritish Science Fiction Association award for Short Fiction (2003). It's told from Lucy's point of view. She's telling her family that she hears wolves in the walls. Of course, no one believes her Then one day, they come out! Lucy and her family ran out of the house and slept outside. 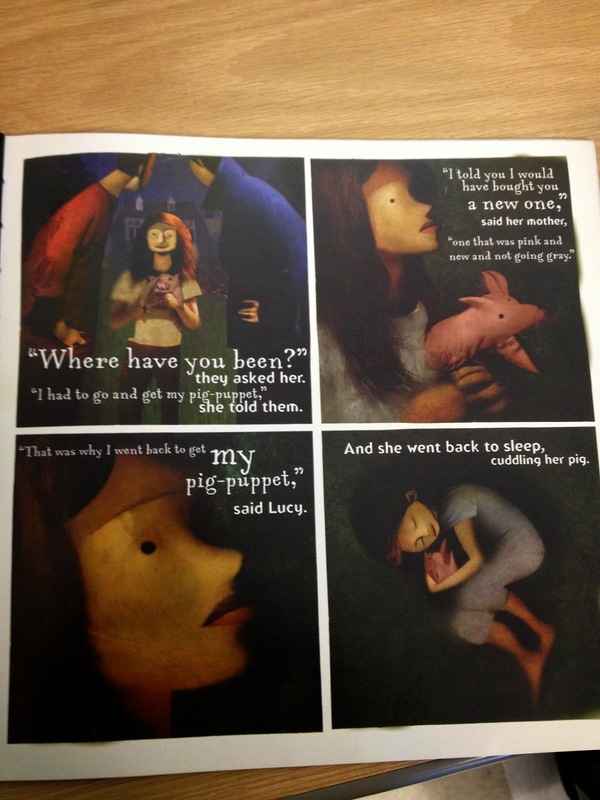 However, Lucy had forgotten her pig-puppet! She went back alone. 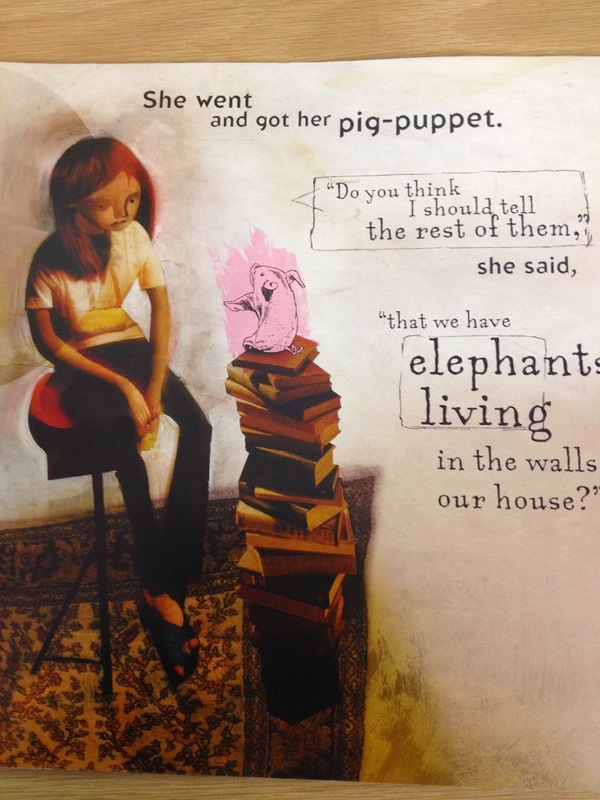 She crept in and saved her pig-puppet. The next day, the family tried to think of solutions. Lucy suggested that they go live in the walls. And so they did! 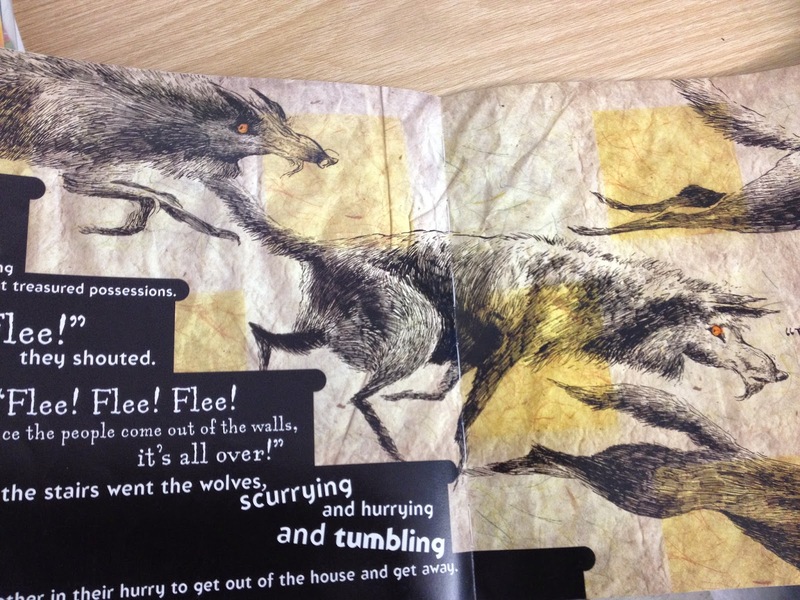 The wolves had a crazy party in the middle of the night and made them mad! 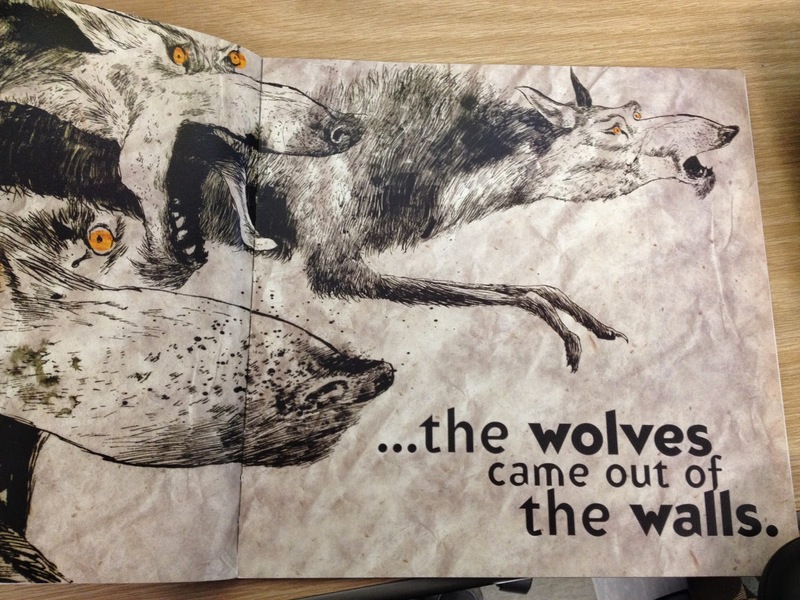 So they came out of the walls and scared the wolves away. The art is beautiful. 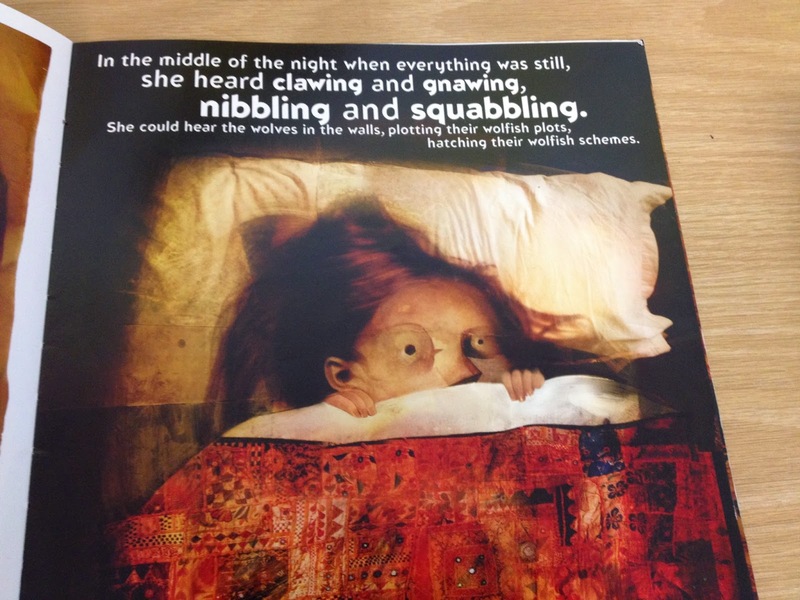 The verbs are fantastic! There's great vocabulary in this book, too. Appropriate for 2nd-6th grades. 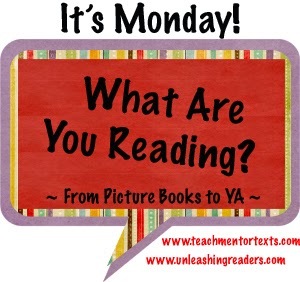 You can find my interactive read aloud lesson plan here. Enjoy!